Established in 1934, Great Smoky Mountains National Park is the largest national park East of the Rocky Mountains. Great Smoky Mountains National Park encompasses approximately 244,000 acres in Tennessee and 276,000 acres in North Carolina for a total of 520,000 acres or more than 800 square miles. With approximately 9-10 million visitors annually, Great Smoky Mountains National Park is also the most visited national park in the United States. In contrast, Grand Canyons National Park receives less than 5 million visitors annually. Great Smoky Mountains National Park is one of the few major national parks that charge no admission fee. A 32-mile stretch of road through Great Smoky Mountains National Park that connects Gatlinburg, Tennessee, to Cherokee, North Carolina, Newfound Gap Road (U.S. 441) features scenic overlooks, picnic areas, mountain streams, and the Sugarlands and Oconaluftee visitor centers. Designated an International Biosphere Reserve, Great Smoky Mountains National Park is home to 4,000 plant species, 140 tree species and an estimated 1,600 black bears. Other animals that inhabit Great Smoky Mountains National Park include the Eastern cottontail rabbit, red wolf, groundhog, red fox, coyote, bobcat, river otter, white-tailed deer and wild boar. A 70-mile stretch of the 2,178-mile Appalachian Trail winds through Great Smoky Mountains National Park. In addition to the Appalachian Trail, Great Smoky Mountains National Park features more than 850 miles of hiking trails. Some of the most popular hiking trails in Great Smoky Mountain National Park include Abrams Falls Trail (5 miles round trip), Alum Cave Trail (11 miles round trip), Andrews Bald Trail (3.6 miles round trip), Boulevard Trail (16 miles round trip), Chasteen Creek Falls Trail (4 miles round trip), Chimney Tops Trail (4 miles round trip), Grotto Falls Trail (3 miles round trip), Hen Wallow Falls Trail (4 miles round trip), Indian Creek Falls Trail (2 miles round trip), Laurel Falls Trail (2.5 miles round trip), Ramsey Cascades Trail (8 miles round trip) and Sugarlands Valley Nature Trail (3,000-foot loop). Cades Cove – a 4,000-acre scenic valley that boasts preserved pioneer homesteads, a campground and hiking trails – is the most visited area of Great Smoky Mountains National Park. 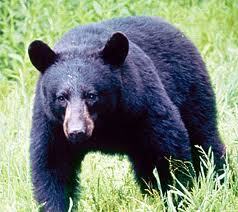 Animals that call Cades Cove home include black bears, deer, foxes, wild turkey and raccoons. Dawn and dusk are the best times to catch a glimpse of wildlife in Cades Cove. Near the Abrams Falls parking area in Cades Cove, visitors can view a typical Smoky Mountain homestead, complete with a barn, smokehouse, blacksmith shop and corncrib. Horseback riding is available at Cades Cove Riding Stables. Cades Cove also offers hayrides during evenings from May through October. At 6,643 feet, Clingmans Dome is the highest point in the Great Smoky Mountains, followed by Mount Guyot (6,621 feet) and Mount LeConte (6,593 feet). Clingmans Dome is also the third highest mountain East of the Mississippi behind Mount Craig (6,647 feet) and Mount Mitchell (6,684 feet). A short but (steep! ), 0.5-mile hike along a paved walkway takes visitors up to Clingmans Dome’s 54-foot-tall observation tower for spectacular views of the Great Smoky Mountains. A total of 16 mountains within Great Smoky Mountains National Park reach elevations higher than 6,000 feet. The Rockefeller Memorial along Newfound Gap Road marks the spot where President Franklin D. Roosevelt dedicated Great Smoky Mountains National Park on September 2, 1940. More than 13,000 members of the Eastern Band of Cherokee Indians live in the 56,000-acre Qualla Boundary, the Eastern gateway to Great Smoky Mountains National Park in North Carolina. Fishing is permitted in Great Smoky Mountains National Park, which features more than 2,115 miles of streams and rivers (a Tennessee or North Carolina fishing license is required). It takes a 5.5-mile hike to reach the rustic LeConte Lodge on Mount LeConte (reservations are usually made up to a year in advance!). The LeConte Lodge, which was built in 1926, has no electricity, telephones or running water. Other than LeConte Lodge, there are no rental cabins, motels or hotels within Great Smoky Mountains National Park. Five hiking trails lead to Mount LeConte: Boulevard Trail (16 miles round trip), Alum Cave Trail (11 miles round trip), Rainbow Falls Trail (13.4 mile round trip), Trillium Gap Trail (13.4 miles round trip) and Bull Head Trail (14.4 miles round trip). The Great Smoky Mountains are known as the “Salamander Capital of the World” since approximately 30 species of salamander can be found here. Nestled along the Southwestern boundary of Great Smoky Mountains National Park, 480-foot-tall Fontana Dam is the tallest dam in the Eastern United States. Known as the “Peaceful Side of the Smokies,” Townsend, Tennessee, serves as a low-key entrance to Great Smoky Mountains National Park and is home to several attractions, including Little River Railroad Museum and Tuckaleechee Caverns. Great Smoky Mountains National Park is home to approximately 1,500 species of wildflowers – more than any other national park in the United States. Often called the “Crown Jewels of the Appalachian Mountains,” the Smokies were also referred to as the “ Land of Blue Mist” by the Cherokees. Once a thriving farm community, the remote Cataloochee Valley section of Great Smoky Mountains National Park is home to abundant wildlife, including deer, wild turkeys, black bear, elk and red wolves, as well as historic structures, campsites and numerous hiking trails, including the popular, 7-mile Boogerman Loop Trail. John D. Rockefeller, Jr. contributed $5 million for the creation of Great Smoky Mountains National Park, the United States government added $2 million and private citizens from both Tennessee and North Carolina pitched in to assemble land for the park, piece by piece. Throughout the Great Depression, the Civilian Conservation Corps, Works Progress Administration and other federal organizations created trails and fire watchtowers, and made other infrastructure improvements to Great Smoky Mountains National Park. Great Smoky Mountains National Park was designated an International Biosphere Reserve in 1976. Great Smoky Mountains National Park holds an annual “Music of the Mountains” festival each March , in partnership with the City of Gatlinburg and Great Smoky Mountains Association. In 1983, Great Smoky Mountains National Park was designated as a UNESCO World Heritage Site. Elk were released in Cataloochee Valley in 2001 as part of an experimental program to reintroduce them to Great Smoky Mountains National Park. Approximately 550 miles of the hiking trails in Great Smoky Mountains National Park are open to horses. Great Smoky Mountains National Park features five drive-in horse camps: Anthony Creek, Big Creek, Cataloochee, Round Bottom and Towstring. Picnic areas are located in Great Smoky Mountains National Park at Big Creek, Chimney Tops, Cades Cove, Collins Creek, Cosby, Deep Creek, Greenbrier, Heintooga, Look Rock, Metcalf Bottoms and Twin Creeks. Waterfalls that can be viewed in Great Smoky Mountains National Park include Abrams Falls, Grotto Falls, Hen Wallow Falls, Indian Creek/Toms Branch Falls, Juney Whank Falls, Laurel Falls, Mingo Falls, Mouse Creek Falls, Rainbow Falls and Ramsey Cascades, among others. One of the most popular hikes in Great Smoky Mountains National Park leads to 80-foot Laurel Falls. At 100 feet in height, Ramsey Cascades is the tallest waterfall in Great Smoky Mountains National Park. Before the early 1800s, Cades Cove was part of the Cherokee Nation. The Cherokee referred to the valley as Tsiyahi or "place of the river otter." Elevations in Great Smoky Mountains National Park range from 875 feet to 6,643 feet (Clingmans Dome). More than 384 miles of road wind their way through Great Smoky Mountains National Park. Dogs are allowed on only two trails in Great Smoky Mountains National Park - Gatlinburg Trail and Oconaluftee River Trail. Great Smoky Mountains National Park features 10 developed campgrounds: Abrams Creek, Balsam Mountain, Big Creek, Cades Cove, Cataloochee, Cosby, Deep Creek, Elkmont, Look Rock and Smokemont. From June through October, Great Smoky Mountains National Park hosts guided hikes, history demonstrations, campfires and other ranger-led programs. The one-way, 6-mile-long Roaring Fork Motor Nature Trail winds it way through forests and passes by overlooks, streams and waterfallsGreat Smoky Mountains National Park is home to two species of venomous snakes: the northern copperhead and timber rattlesnake. Wildflower viewing? Generally, look for Spring Wildflowers in April, Flame Azalea in April and May, Mountain Laurel in May and June, Rhododendrons in June and fall foliage in October. A free permit is required for all backcountry camping in Great Smoky Mountains National Park. Permits are available at Oconaluftee Visitor Center, Sugarlands Visitor Center and other locations throughout the park. Great Smoky Mountains National Park lies within a day's drive of two-thirds of the nation's population. The Great Smoky Mountains were formed approximately 200-300 million years ago, making them among the oldest mountains in the world. A total of 78 historic structures can be found throughout Great Smoky Mountains National Park at Cades Cove, Elkmont, Cataloochee, Hazel Creek, Greenbrier, The Sugarlands, Noah Ogle Place, Roaring Fork, Little Greenbrier and Oconaluftee.